The new San Mamés stadium in Bilbao has been opened in its first phase on 15th September 2013. The stadium is being made in two different phases: on the first one (already finished) the construction of two of the sides and one of the bases has been made. Mercor Tecresa® has provided 630 m2 of 40 mm Tecbor® B boards to make EI-120 ducts in order to maintain the over-pressure in the evacuation routes (access stairways and stadium exit). The second phase is still to be completed; it will have the last base built and the V.I.P box set. 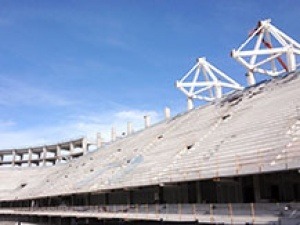 The new field will have the capacity for 53.332 seats.